What is a Partial ACL Tear? The the anterior cruciate ligament –ACL –is one of the more vital and more easily injured ligaments within our knee. Ligaments are very tough, fibrous tissue structures which hold our bones together and allow us to bend, twist, pivot and rapidly accelerate and decelerate and yet maintain stability of our joints. The ligaments of our knee hold it together. Most ACL ligament injuries in the knee are non-contact in nature. A partial ACL tear involves an injury or tear of only a portion of the entire ACL. Unfortunately, a partial ACL tear is more of a radiology or MRI diagnosis than an orthopedic diagnosis. What do I mean by that? We treat patients, we do not treat MRI findings. That is the reason why many patients who have complete ACL tears do not go on to require an ACL reconstruction surgery for an anterior cruciate ligament tear. Therefore, even if the MRI shows that the ACL is completely disrupted, there is still a reasonable chance that you will be able to return to your normal activities of daily living without the need for ACL reconstruction surgery. What I’m getting at is simply the fact that we do not look at your ACL tear as being “partial” or “complete”, we look at your KNEE as being “functional” or “nonfunctional”. If you have a functional partial tear of your ACL, that means that you have torn a certain portion of your ACL fibers, however, you are still able to participate in sports without the feeling of the knee giving way or being unstable. 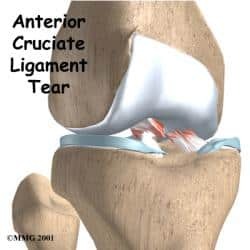 If you possess a nonfunctional partial tear of your ACL, that means that you have torn enough of your ACL ligament that your knee no longer feels stable. That means that you are at risk of further injury if you return to your prior sports participation. Every time your knee buckles you run the risk of tearing other structures within the knee, such as the medial or lateral meniscus. If you sustain tears of either the medial or lateral meniscus, which are the shock absorbers with within the knee, then you are at risk of developing osteoarthritis. 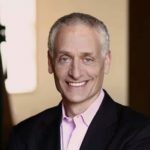 You therefore want to eliminate or minimize the risk of buckling, instability or giving way and therefore a patient who presents with a partial ACL tear, who complains of instability, will likely present as an appropriate candidate to consider an ACL reconstruction or possibly an ACL augmentation. ← Do all ACL tears require surgery?